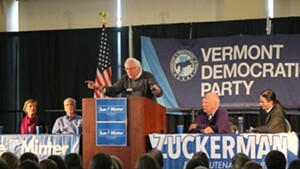 Sen. Bernie Sanders (I-Vt.) campaigns October 21 in Montpelier for Democratic gubernatorial candidate Sue Minter and David Zuckerman, the Progressive/Democratic candidate for lieutenant governor. 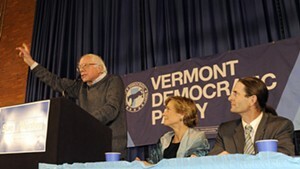 Sen. Bernie Sanders (I-Vt.) will spend more time this week campaigning for Vermont Democratic gubernatorial candidate Sue Minter and David Zuckerman, the Progressive/Democratic candidate for lieutenant governor. Sanders will join Minter and Zuckerman at a rally at Johnson State College’s SHAPE Varsity Gym at 9:30 a.m. Friday, Sanders’ campaign said Thursday. 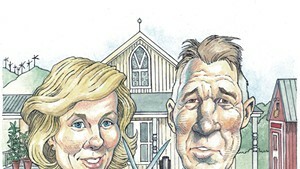 Minter is vying for the open governor’s seat with Republican Lt. Gov. Phil Scott. 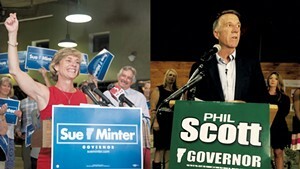 Two recent polls indicate the two are either in a virtual tie or that Scott has a slight lead. Zuckerman is competing for the open lieutenant governor’s seat with Republican Randy Brock. 11:30 a.m. Friday at Lyndon State College’s Moore Community Room. 1:30 p.m. Friday at Newport’s Gateway Center. 5 p.m. Friday at the Tip Top Café in White River Junction. 3 p.m. Saturday at Brattleboro Union High School. 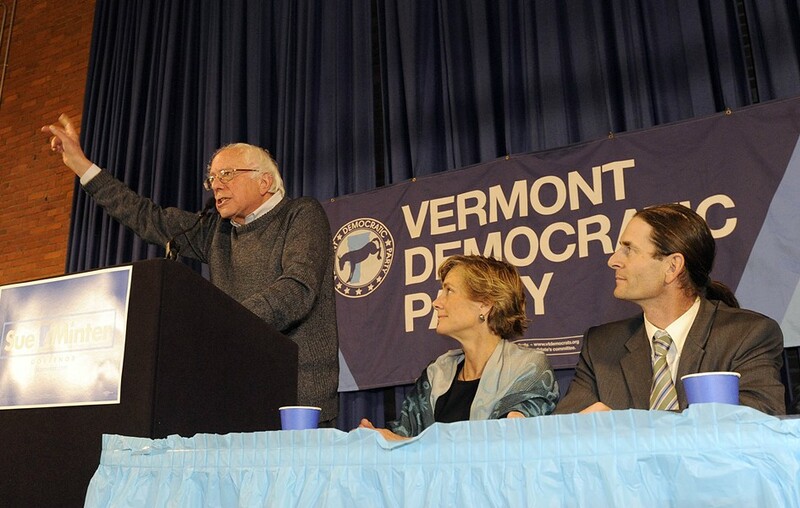 Last weekend, Sanders held six rallies with Democratic state candidates. He also sent out a fundraising email urging supporters to contribute to Minter and Zuckerman’s campaigns.